Everything Christmas Sale of donated items is held the first weekend in November. 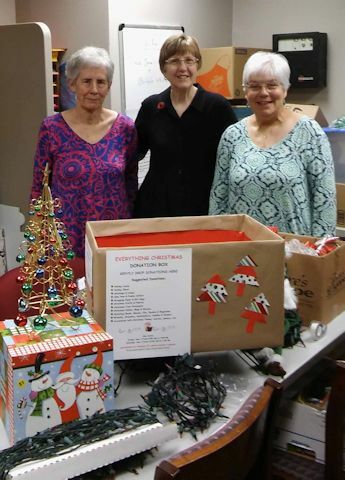 Looking over treasures from the 2018 donation box – left to right: Frances Mason, VP Jackie Volk, and Nancy Bryant. 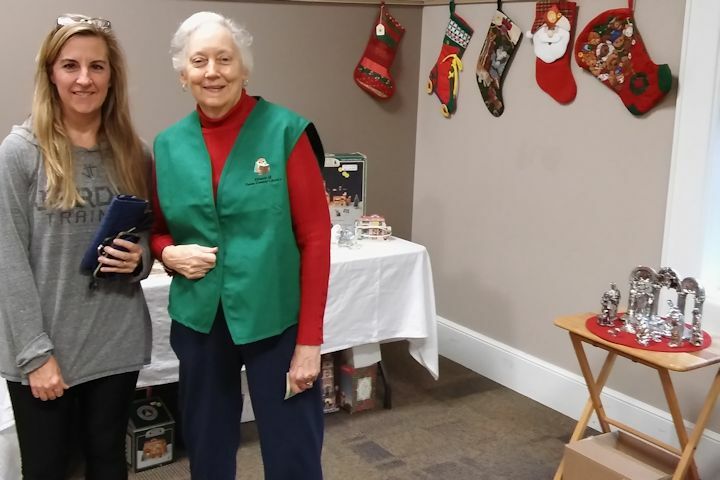 Jayne Sentell and a happy buyer at the 2018 Everything Christmas sale. 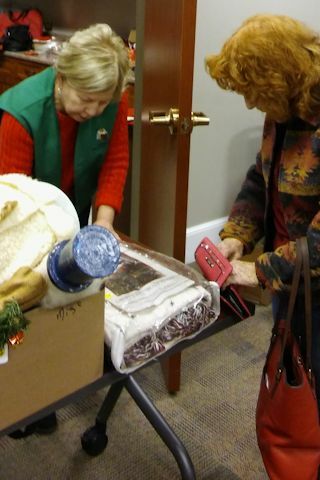 President and Co-Chair of the Sale, Judy Baldwin, assisting a buyer at the 2018 Everything Christmas sale. Camera shy Barbara Hale was Judy‘s Co-Chair. 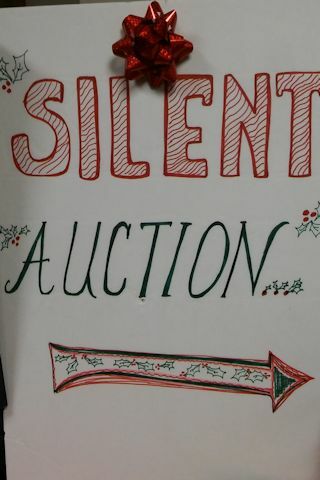 The Silent Auction sign was made by Corresponding Secretary Arlene Gray. 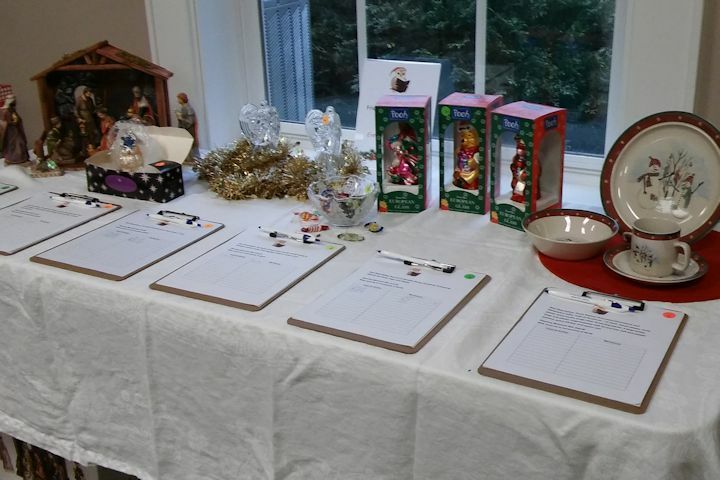 Silent auction items were displayed in the Heritage Room several weeks before and the days of the 2018 Everything Christmas sale. 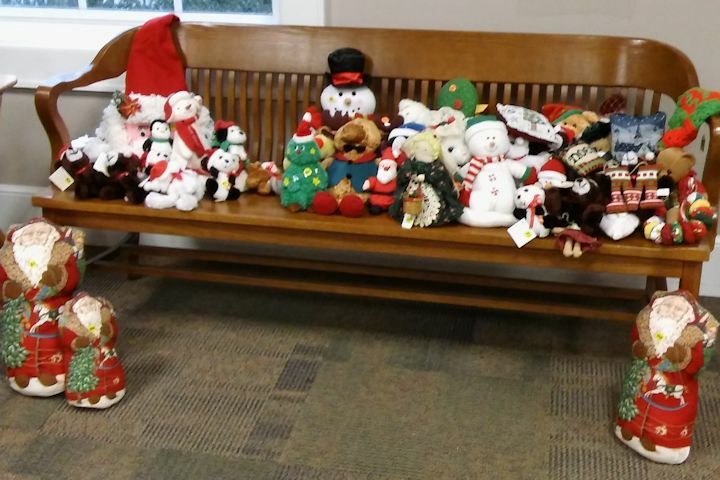 Stuffed toys were well represented at the 2018 Everything Christmas sale.